Click here to enter your address and see which school you will attend. We are extremely proud that our school was named after an educator and a friend. 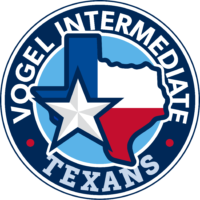 Dolly Vogel taught with many of us at Ford, Houser, York, and at Oak Ridge High School. She was an award winning educator and touched many of our lives. She lost her battle with cancer in the year 2000, but will always be remembered by those of us that knew her. With our school named after her, she will continue to touch the lives of those that have attended Vogel Intermediate School. is to work together to nurture responsible, respectful, and resourceful citizens in an ever-changing world.